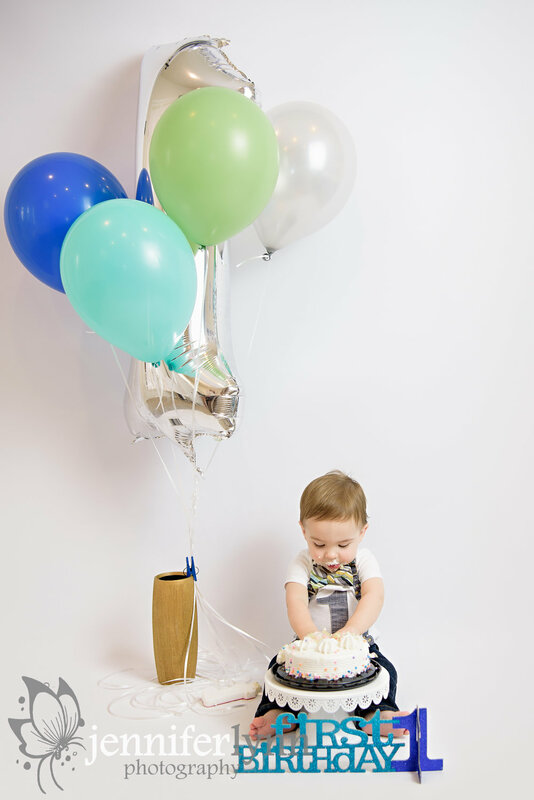 I had the privilege to see Mr. Jackson over the weekend for his big one year baby milestone session. I have seen Jackson for newborn photos, 6 month, 9 month, and now his grand finale one year session. We've taken updated family photos at several of the sessions and I've loved being part of these special memories as their kids grow and change. Jackson himself has grow so much since that tiny little baby who was curled up on the moon prop! Now he's a happy, active little boy with an awesome smile! I loved how we were able to take a photo with the moon prop each time he came to the studio so we could really show just how much he's grown. This last time his head hardly fit on there and he preferred to walk around the prop instead of squish himself on the seat. 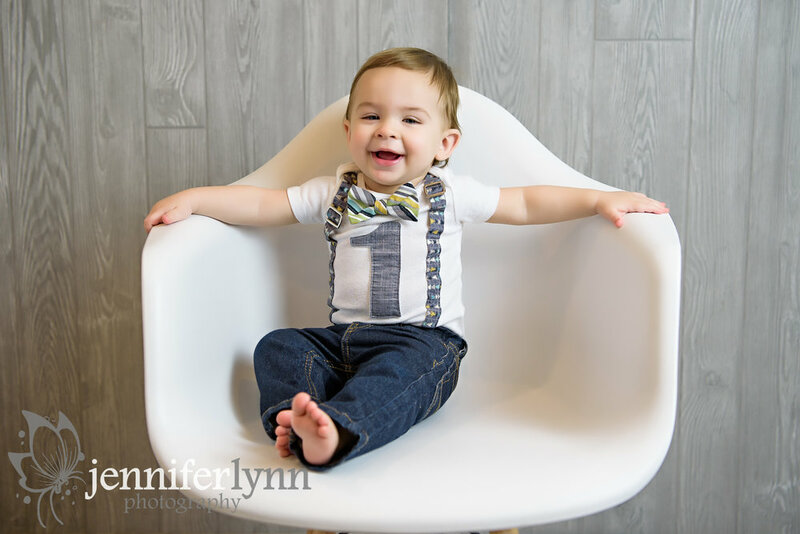 I've loved getting to see this little one grow over the last year and I feel so honored to have had the opportunity to photograph his beautiful family on so many occasions. We started this last session with our updated moon photo, then his mom brought some great green letters for Jackson to hold. 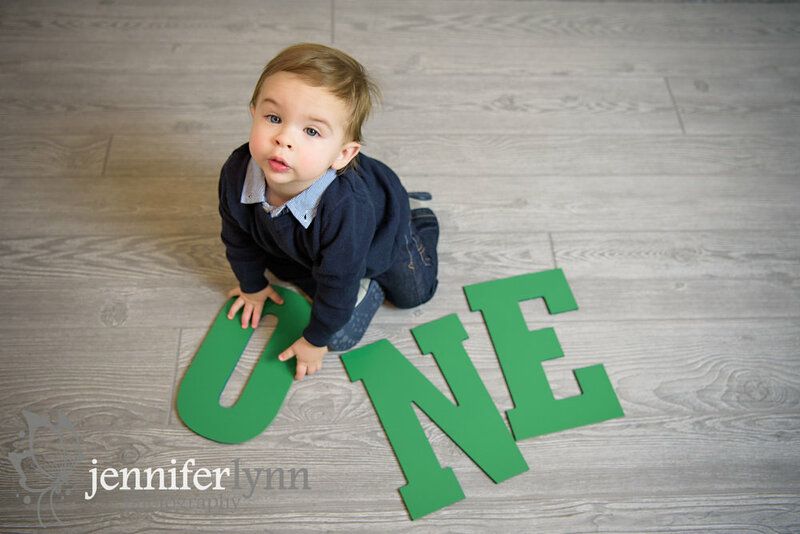 He only sat for a second with each letter, but we managed to snag some photos of him with each one spelling out "one". He also loved my big white chair and flashed some great smiles while climbing in and out. We finished the session with a fantastic cake smash! It was actually Jackson's third time eating cake this month since he had a cake on his actual birthday, one at his party, and now one at my studio. And he certainly knew what to do with cake by this time! He was excited the minute he saw us put it on the stand and went to town right when his hands were released. 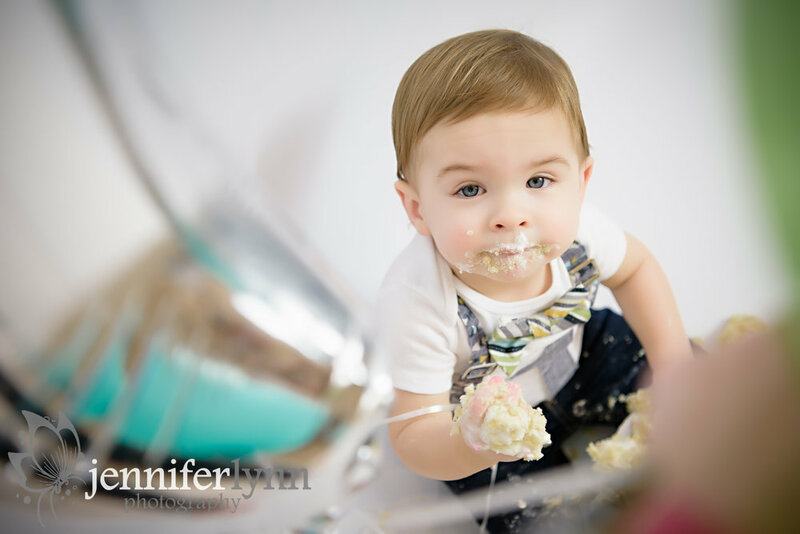 The cake was completely destroyed by the time Jackson was finished and he loved every second of it. He seems to like the icing the most and I must admit it sure smelled delicious! I love those grocery store cakes myself and make sure there's plenty of buttercream frosting for every slice. A very happy first birthday to Jackson and I so hope to see you and your family again as you continue to grow and change!